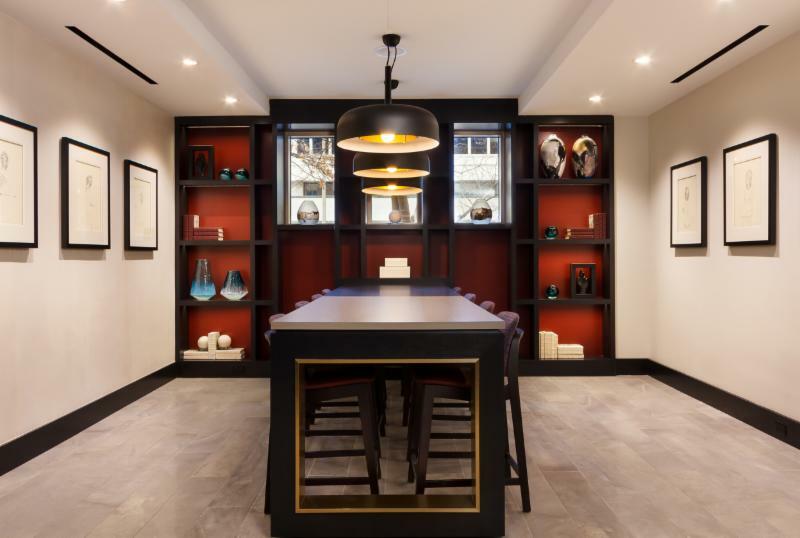 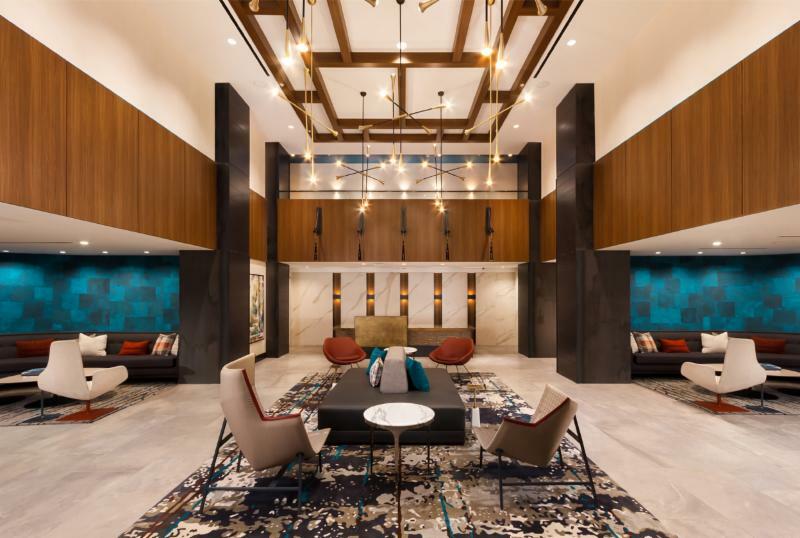 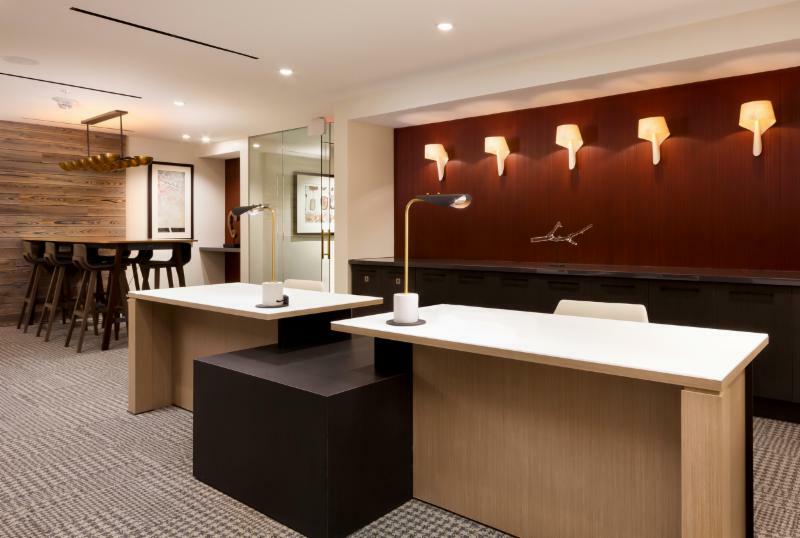 Bozzuto and Invesco partnered with Hartman Design Group to transform Instrata Apartments in the Pentagon City area. 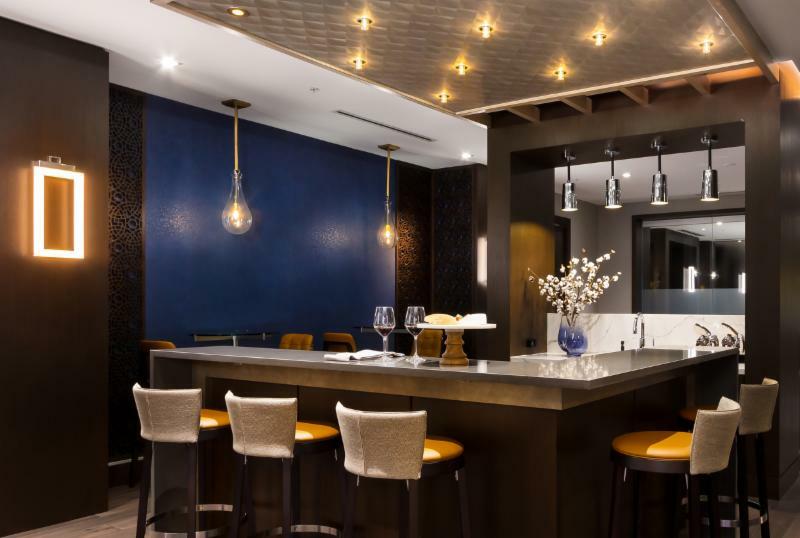 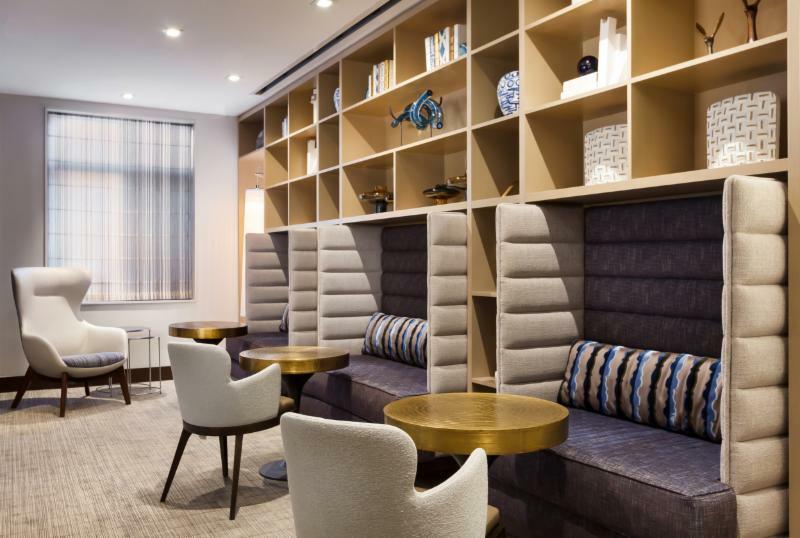 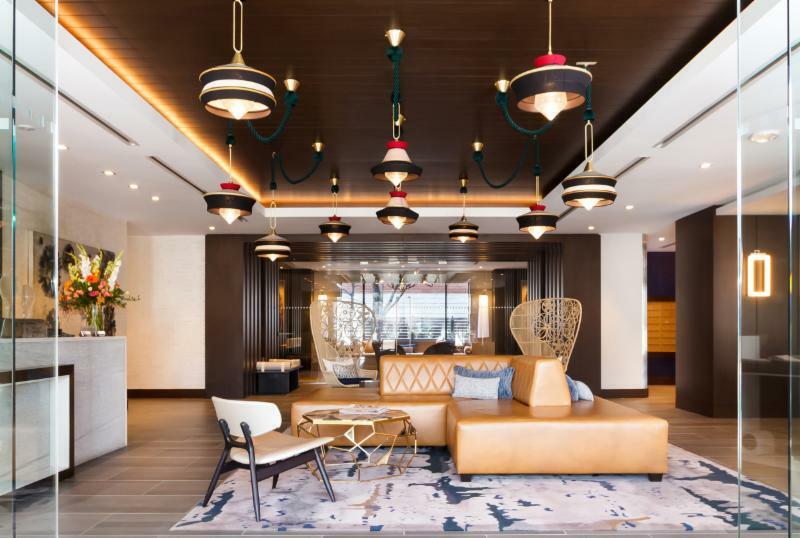 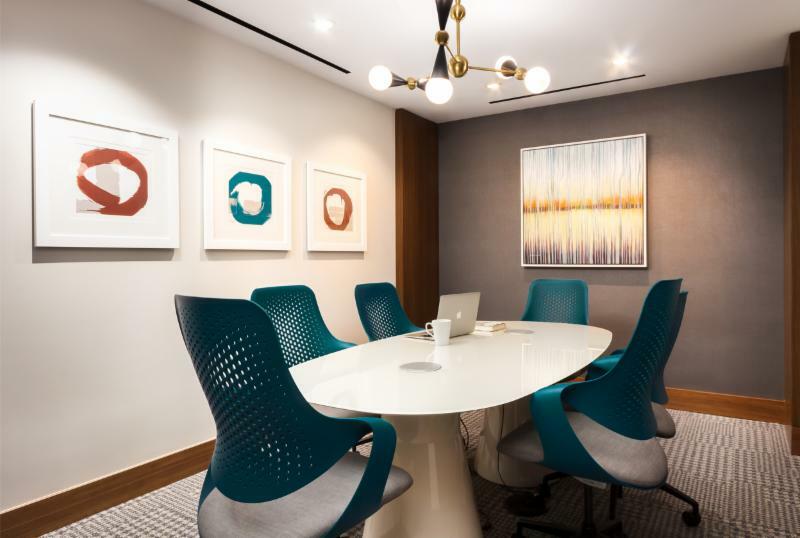 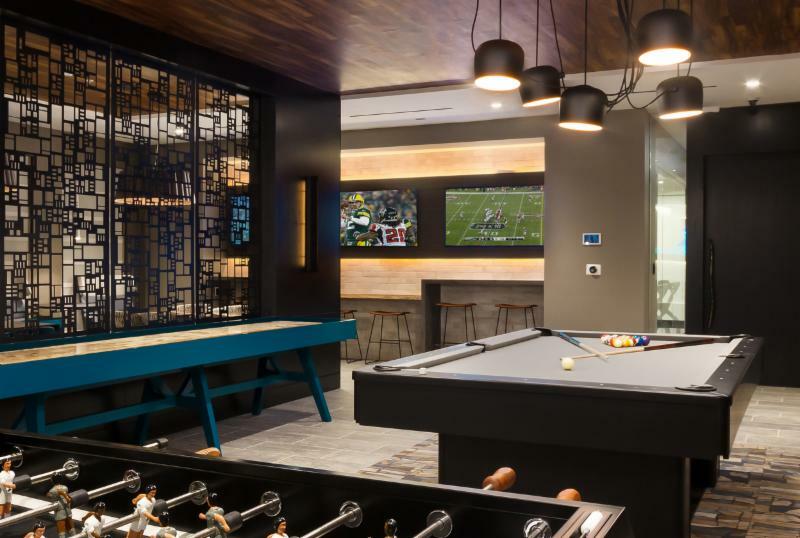 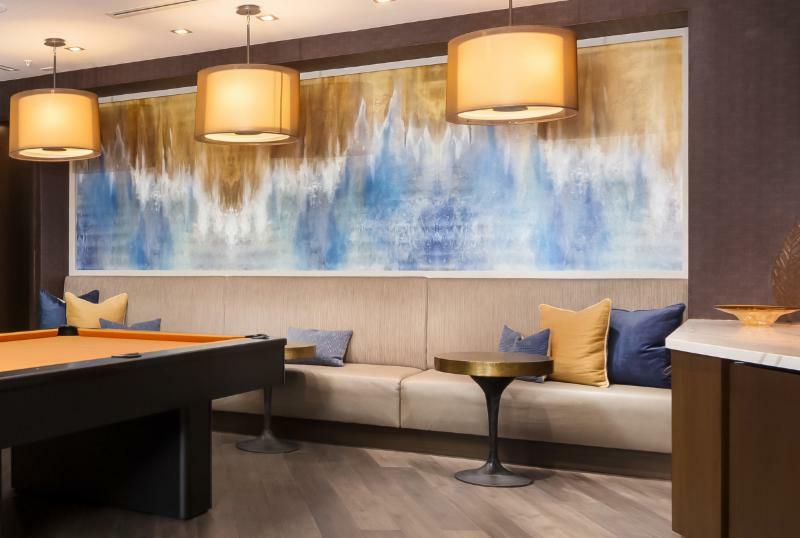 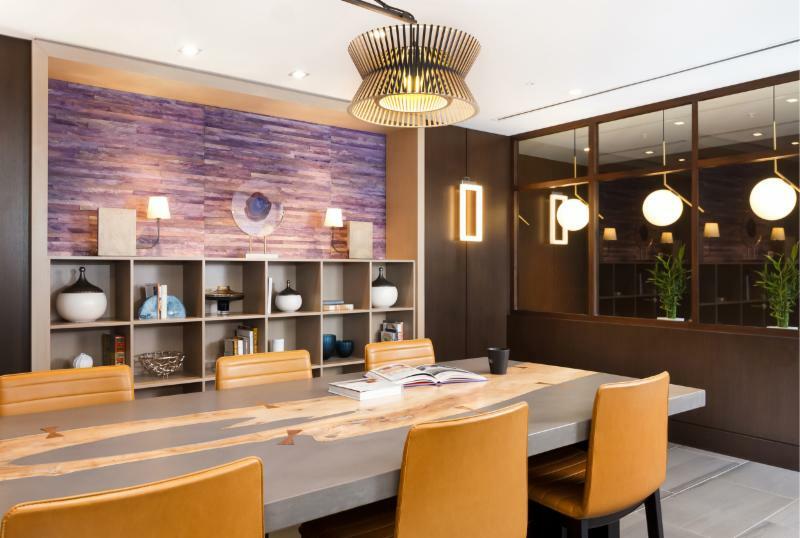 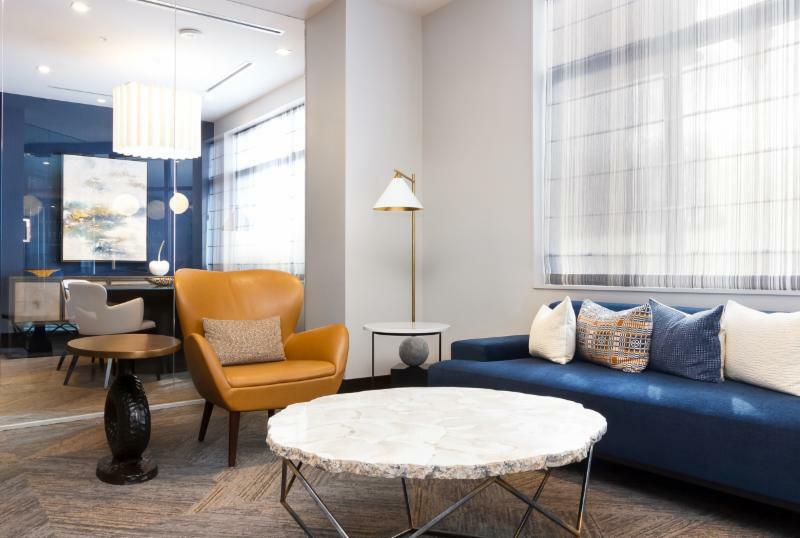 Home to sports figures, government consultants and older professionals, Instrata Pentagon City is set back from busy 15th Street, making it a quiet respite in a thriving urban location. 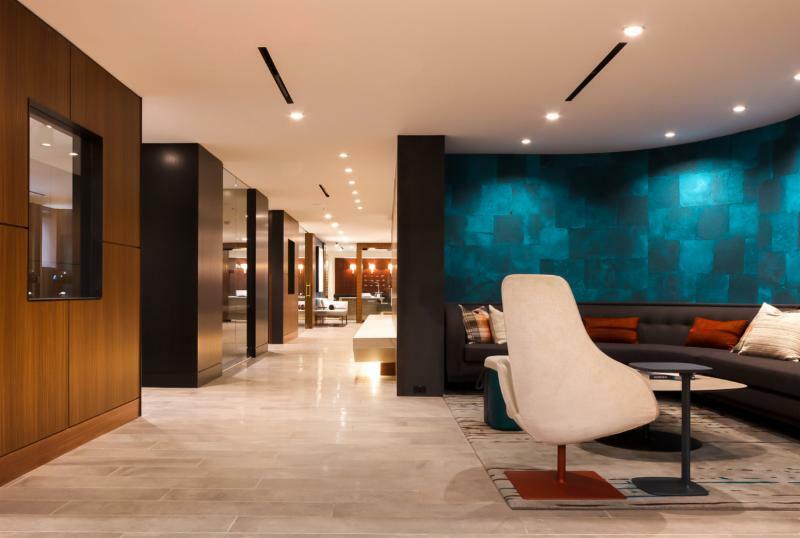 Completed in 2003, the building was showing its age and not competing well in the marketplace. 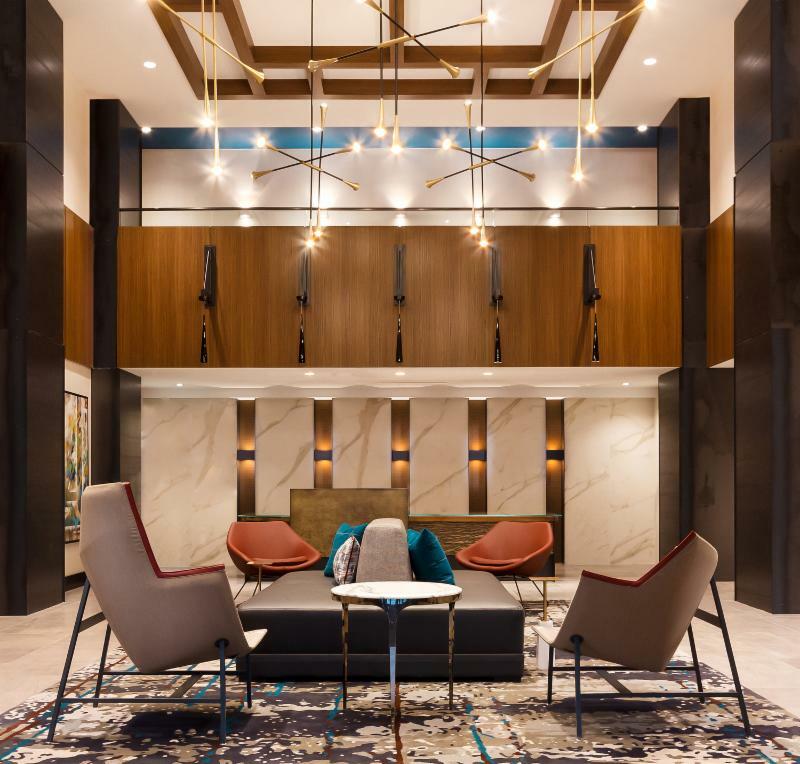 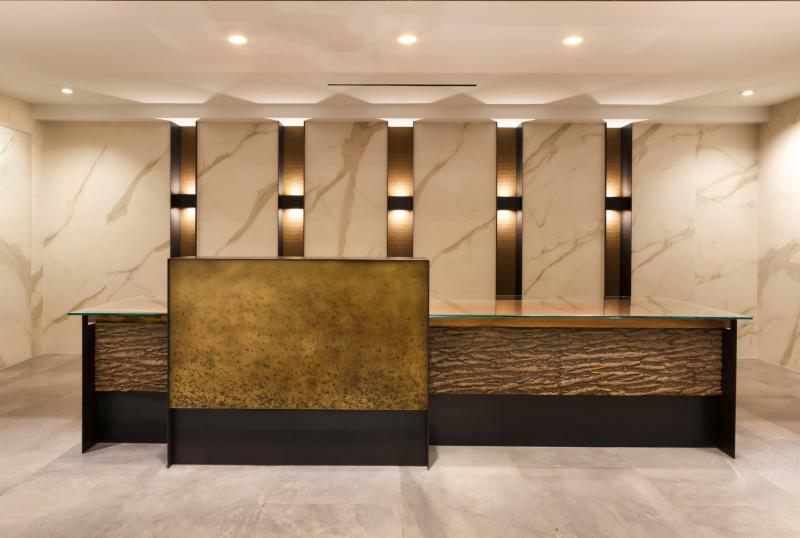 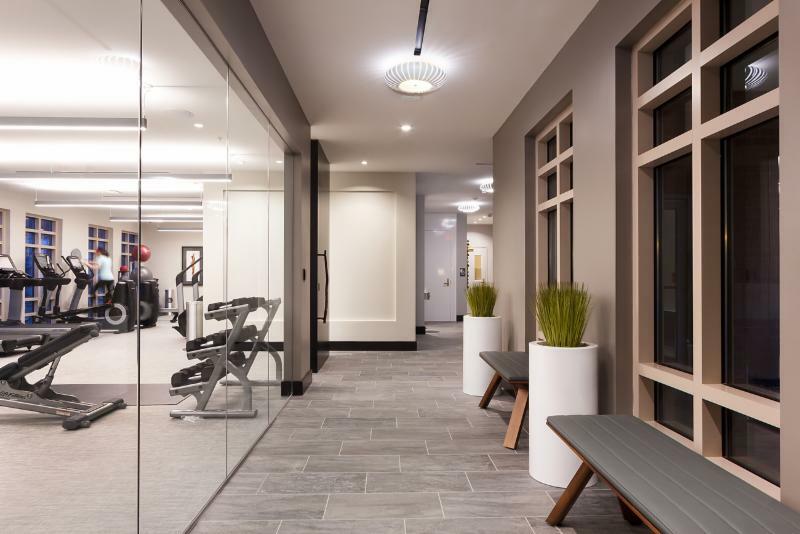 Equity Residential partnered with Hartman Design Group to transform 1800 Oak Street Apartments in Rosslyn, VA to a Class A apartment community that competes with new product in this competitive market place. 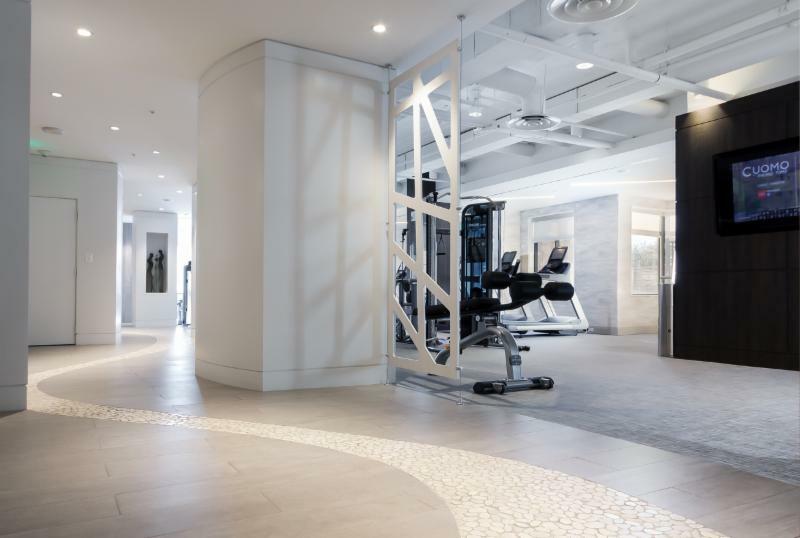 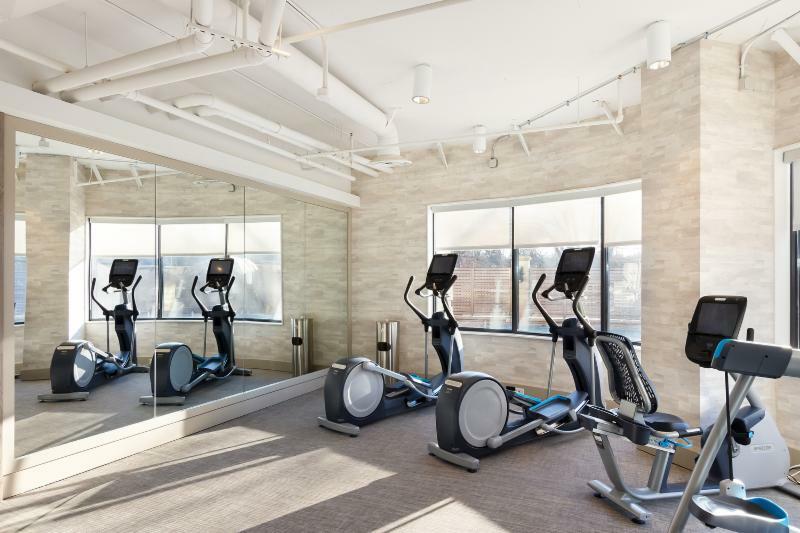 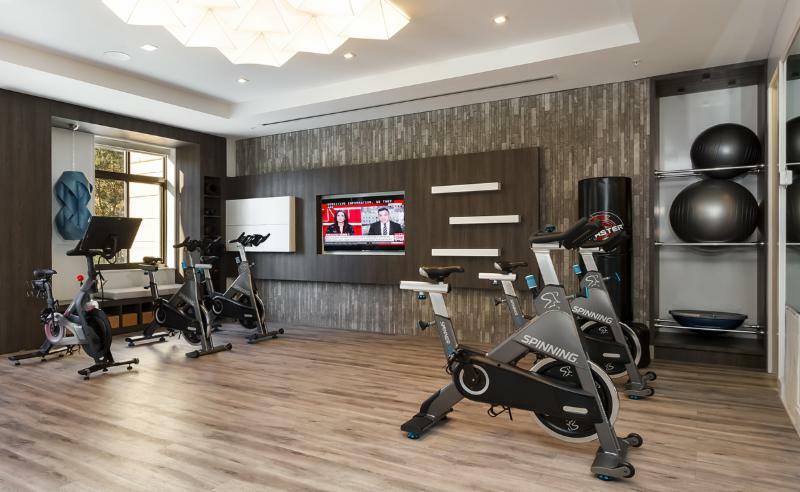 Now a stunning urban living experience with all of the amenities that today’s resident demands including multiple co-working spaces, a dramatic lobby, a sports bar and a brand new state of the art fitness center. 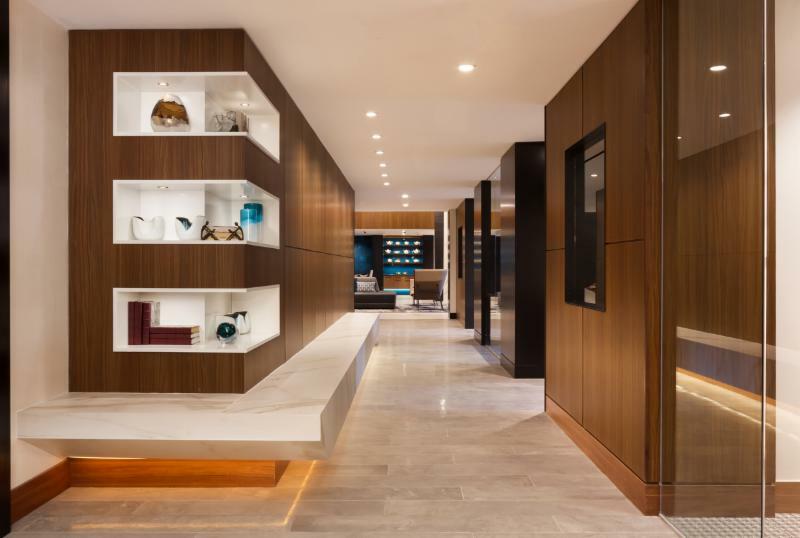 1800 Oak Street comprises of 314 apartment homes and was originally built in 2004. 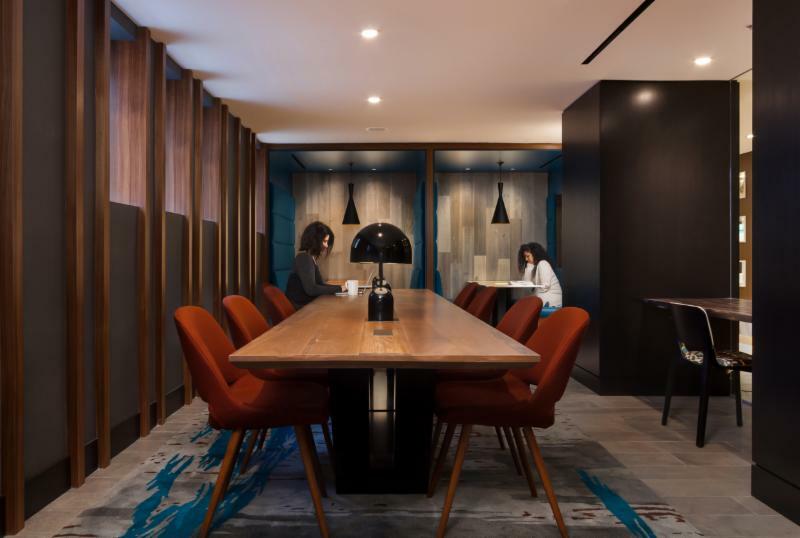 When we think about design as a journey that leads to new possibilities for how we live in the built environment, biophilic design opens-up new horizons for interior designers and architects to connect people to nature. 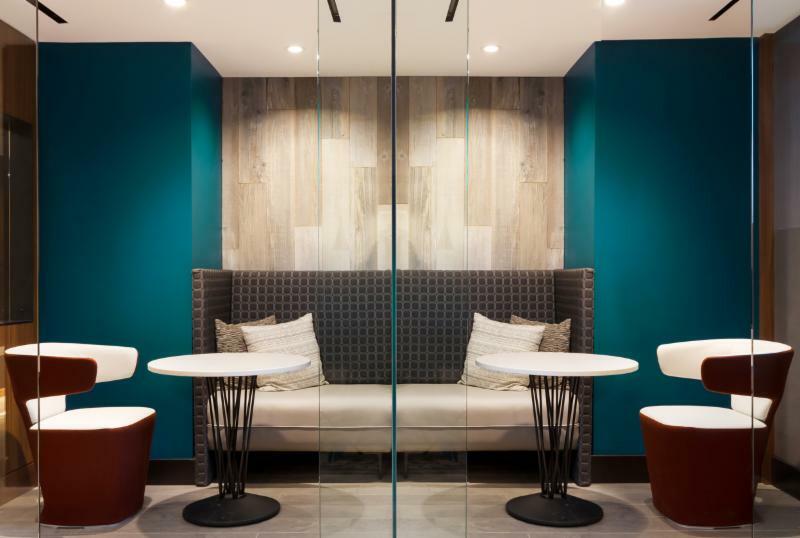 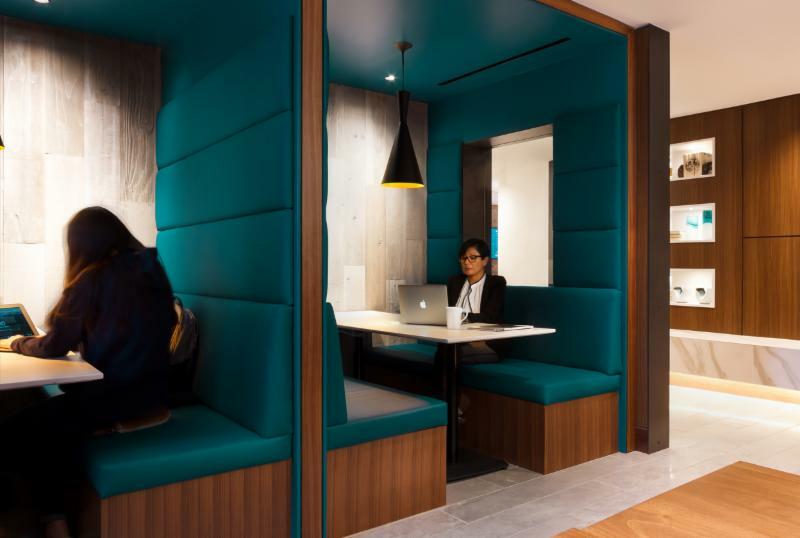 As individuals become more isolated, it is important that design professionals intensify their efforts to re-connect buildings and interiors to our natural environment. 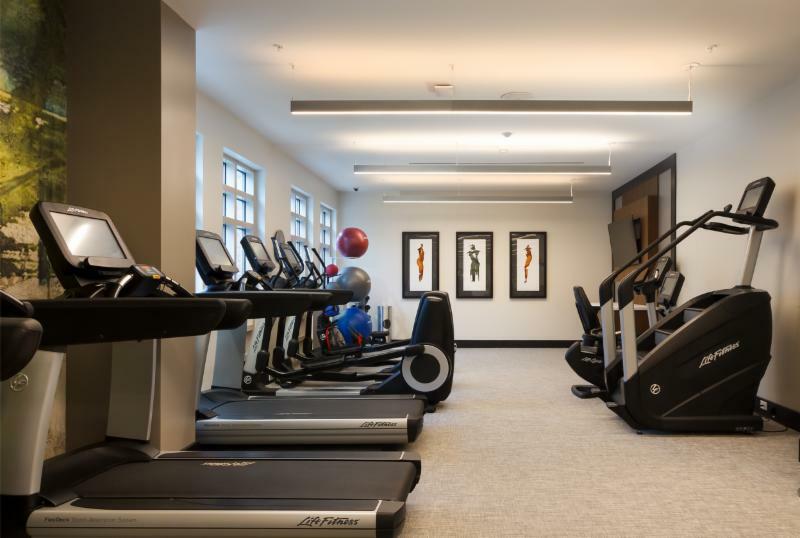 Extensive studies have established the relationship between nature and human health. 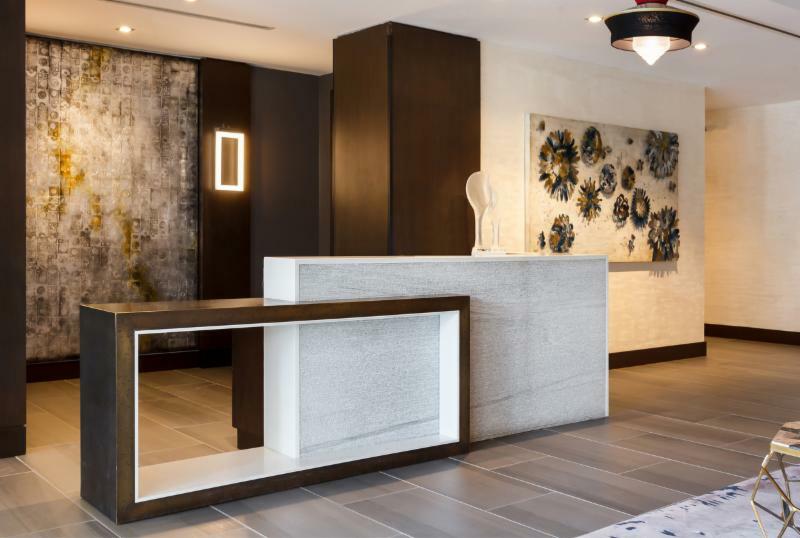 The fireplace at The Signature in Reston, Virginia, brings the outdoors inside, with its glass enclosure as the centerpiece of the lobby. 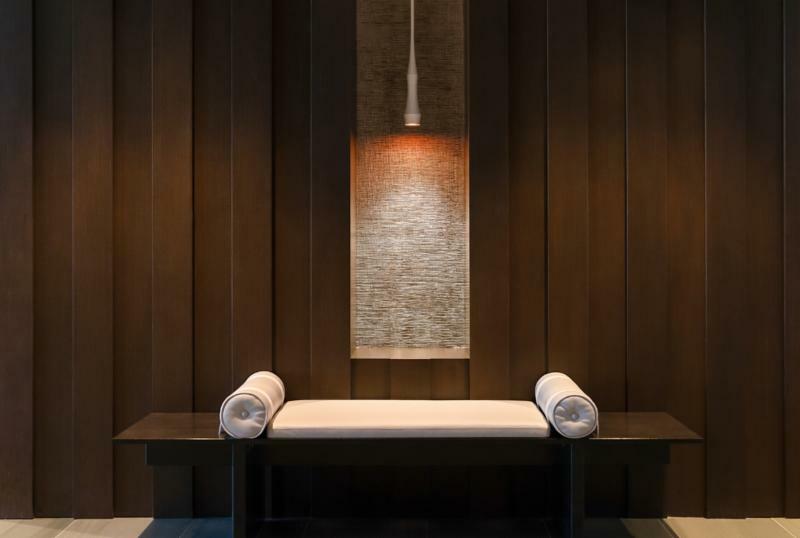 Life force elements such as light, sky, fire and water draw upon on our survival instincts. 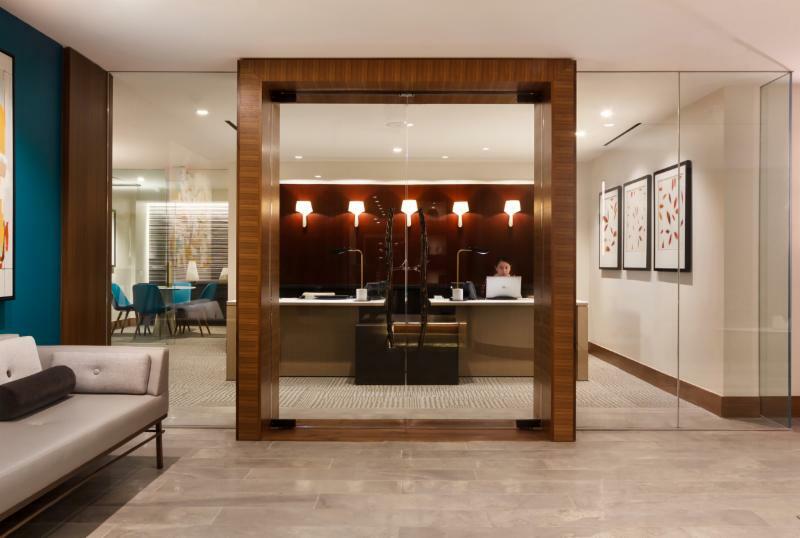 Fire is perhaps the most dramatic way to infuse nature directly into the built environment. 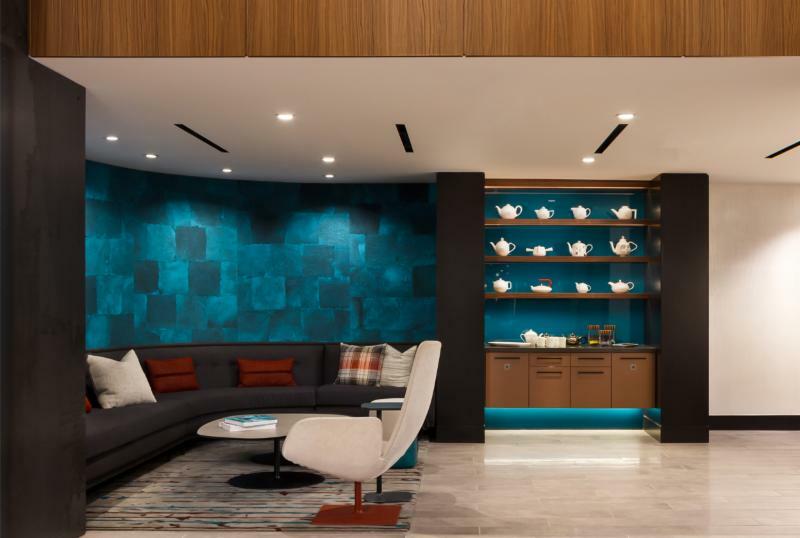 We are drawn to the color, warmth, movement and social engagement that fire elements compel. 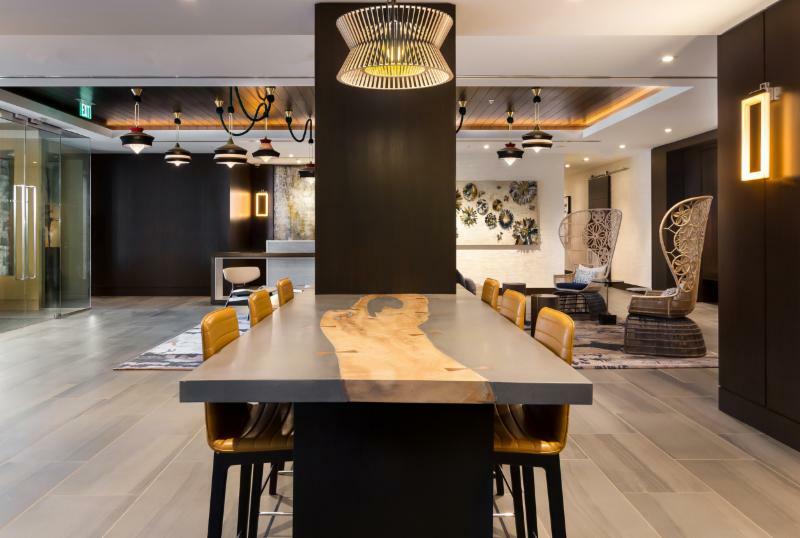 “One of humanity’s greatest achievements has been the control of fire that allowed the harnessing of energy beyond animal life, and facilitated the transformation of objects from one state to another,” Stephen R. Kellert and Elizabeth F. Calabrese wrote inThe Practice of Biophilic Design . 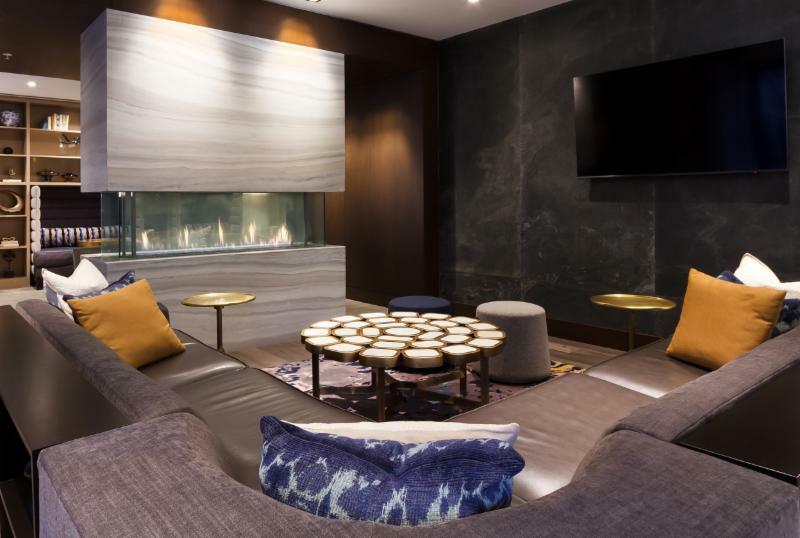 A warm fire enlivens the club room at The Remy in New Carrollton, Maryland. 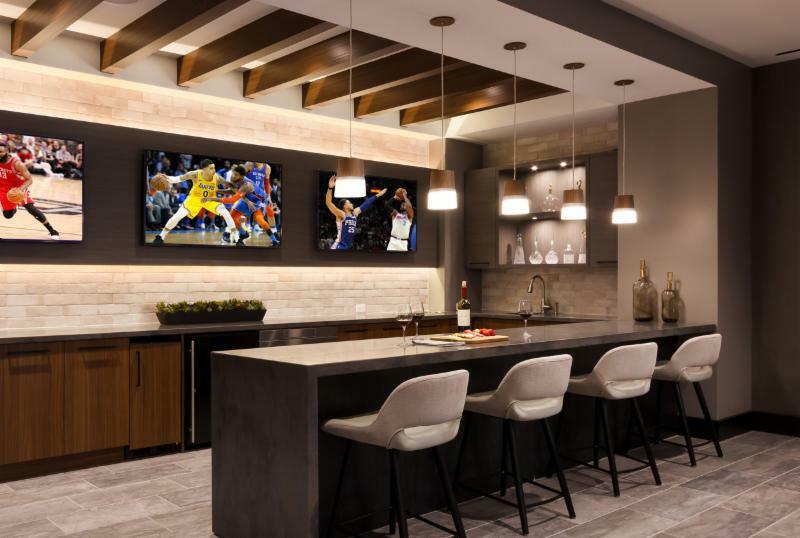 The dual sided fireplace anchors the outdoor living space and allows for a lively connection between the indoor and outdoor spaces at The Haven in National Harbour, Maryland.